Hi! 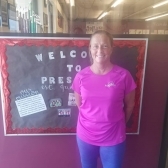 I'm Coach Tina, and I work with all team levels here at Prestige. You may even see me float around in recreational classes to improve skills and provide feedback!